With Coachella just weeks away, it seems like all of L.A. is buzzing about the mid-April extravaganza. But, we’re switching gears for a minute and looking forward to an equally rad mini-festival going down tomorrow evening: Cult Gaia and Dart DJ are hosting Young Love, a late-night event that caters to a few of our favorite things — dancing, eating, boozing, and shopping! Bushmills Whiskey and Singha beer will be on tap as guests nosh on yummy bites from Whoa Nelly Catering and listen to thumping tunes courtesy of Dart DJ, a new music collective launched by Michael David and Jesse Kivel. 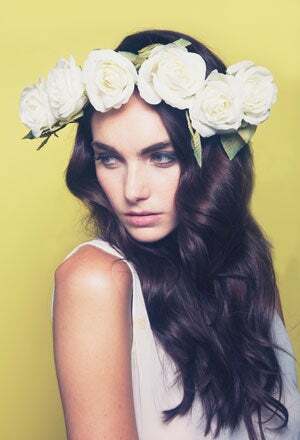 You can also browse Cult Gaia's latest bridal collection for that perfect special-day headpiece or, more likely, a boho accessory to get you Indio-ready. Just think of this as your 'Chella practice run! When: Friday, March 29, 9 p.m. to 2 a.m.
Where: COUP!, 7908 Santa Monica Boulevard (near North Fairfax Avenue); 323-875-4767.